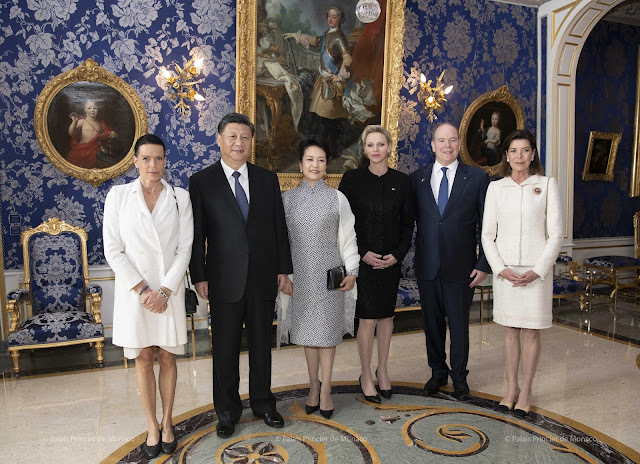 On Sunday Prince Albert and Princess Charlene hosted the Chinese president and his wife at the Princely Palace in Monaco. 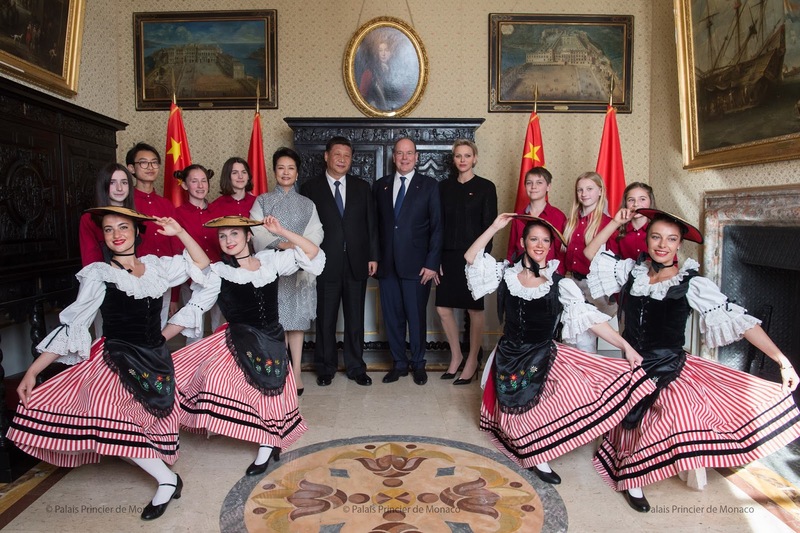 The historic visit is a part of a European tour that the Chinese president is undertaking nowadays With the goal of strengthening China’s relationships with Europe. 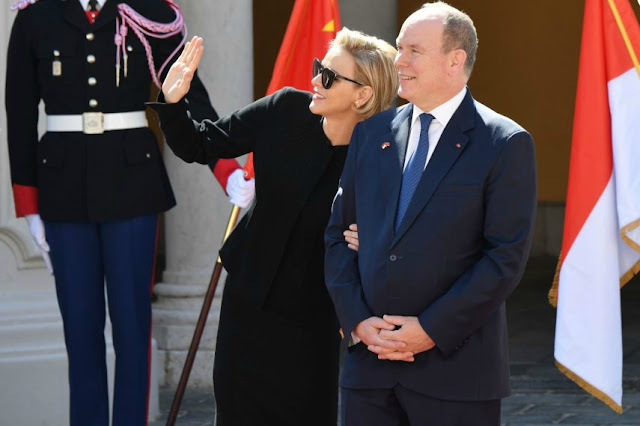 Not only is this kind of visits rare to Monaco, but It’s also semi-rare appearance for Princess Charlene in the principality. 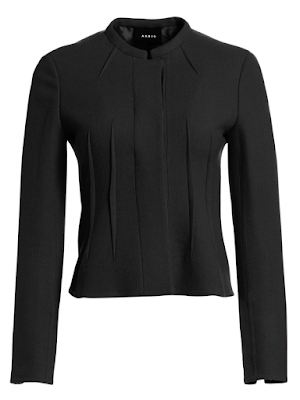 For the visit princess her Winchells to keep it simple and in an Akris double-face wool dress and a matching Abadine jacket with pleating detail. The jacket is currently available on Saks Fifth Avenue for USD$2,990 and you Can buy it from HERE. 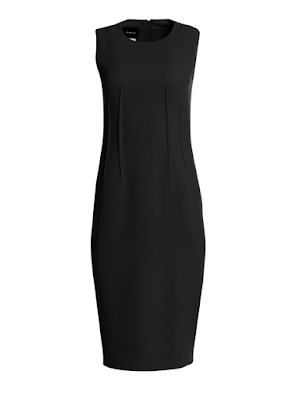 The dress costs USD$1,990 you can buy it from HERE. Both are also available in pink (which I kind of which the Princess had opted for). The shoes Princess Charlene chose were the Hearbreaker pumps from Louis Vuitton. Her sunglasses are Dior and so her Tribales pearl and metal earrings. She has several pairs of the Tribales earrings and they have proved to be a favorite of hers since 2013. Her amazing hairdo is thanks to Stephane Madinier, the same hairdresser who attended to her hair on her wedding in 2011. Princess Charlene was waving at Prince Jacques who was standing upstairs looking from a window. The twins later met the Chinese First Lady. Like I said on Instagram, this outfit is unremarkable. Sure, the fit is incredible and it's elegant and timeless, but would it go down the best or worst dressed list? No. Would we remember a year from now? I doubt it. 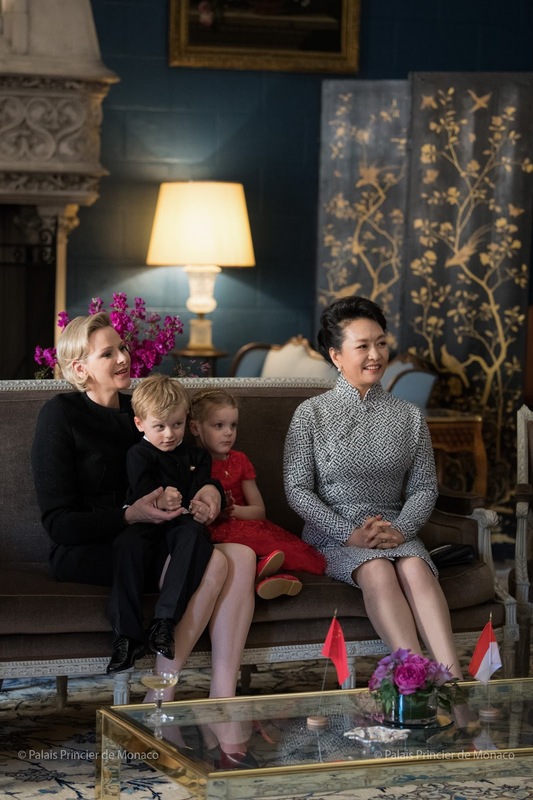 We will, however, remember the historic visit and how happy and relaxed Her Serene Highness was having the twins for the first time at such an important event. That suit, however, would be perfect for a power meeting, don't you think?